Poor Lea Michele. I know I keep saying it, but I honestly don’t know what else to say. 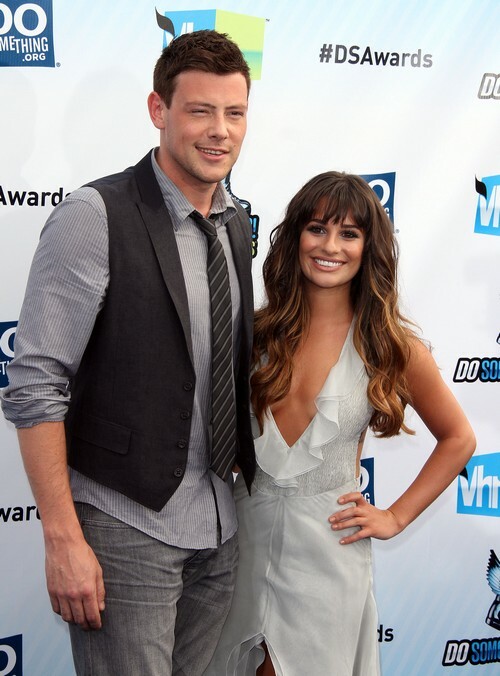 When Cory Monteith died, it was a shock to everyone, especially because Cory was so young and no one was expecting it. He had gone to rehab, he seemed to be getting his life back together, and he had such a promising future. Lea and Cory’s family have been staying out of the spotlight, and the paparazzi in Canada are clearly more understanding than paparazzi in LA because there haven’t been candids released of Lea every other hour. However, Lea’s first public outing since Cory’s funeral was reportedly to go to the makeshift memorial outside of the Fairmont Pacific Rim hotel in Canada, where Cory spent his last few hours. The eyewitness added that Lea looked ‘crushed’, and the SUV drove off once they realized that people had noticed them. Lea might have just wanted to see the memorial or get a glimpse of where Cory spent his last moments, but she probably realized she couldn’t handle the onslaught of people in that moment. She’s reportedly been spending time with Cory’s family over the past few days, and I’m really glad that they’re mostly being left alone. Although ‘sources’ keep leaking stories to the tabloids every other day, nobody is revealing anything really personal and people truly seem to be respecting Lea and the Monteith family’s privacy. Hopefully that’s of some small comfort to them.